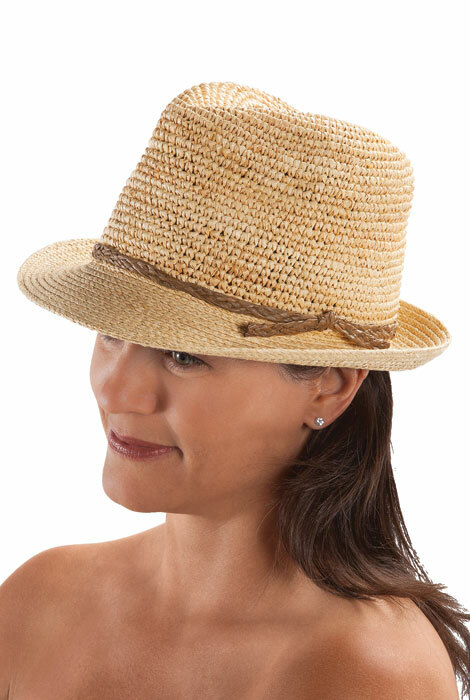 Breezy raffia and contrasting braided band give our classic raffia fedora a beach-worthy twist. Packable, versatile and destined for compliments, this beach hat is your go-to look for sun protection and style . Spot clean. Imported. One size.